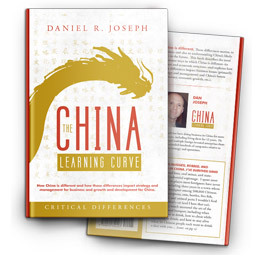 There are plenty of ways to get tough with China. The Trump administration’s overall aggressive stance on trade with China is a good example, as are America’s Freedom of Navigation actions in the South China Sea. In terms of the telecommunications industry, the US already effectively prevents major Chinese firms like ZTE and Huawei from selling into the US. The US could continue that ban, and play hardball in other areas that impact national security. By “deal” Rubio is referring to the decision Donald Trump made to change the ZTE penalty to one that will not drive ZTE out of business. What Rubio is really saying is, “Let’s use ZTE’s sanction violation as an excuse to destroy them for national security reasons.” The problem is, this is not how the rule of law works. We don’t punish violators for potential misdeeds, only for infractions that have actually occurred. We don’t use economic penalties as a sideways means of achieving national security goals. Rubio and his colleagues are going to make targets of Apple, GM, P&G and other leading American companies that are doing well in China. This is a huge mistake. Donald Trump has this one right and needs to stick to his guns. ZTE, a telecommunications giant that is one of China’s leading firms, has been found guilty of violating US sanctions against Iran and North Korea. ZTE has already paid a nearly $1 Billion fine. Because ZTE did not adhere to the rest of its agreement with the US Justice Department relative to disciplining its own executives, an additional punishment was levied on ZTE in the form of a 6 year ban on US companies doing business with ZTE. Because ZTE is highly dependent on US suppliers, including leading tech companies like Google, this punishment would effectively put ZTE out of business. The Trump administration has decided to change the punishment to another large fine ($1 Billion) plus more dismissals of senior executives and the board of directors. It is critical to note that there is no legal requirement to ban US companies from doing business with ZTE. While the rule of law dictates that ZTE’s violation be addressed, discretion can be applied to the punishment. The Trump administration is merely applying that discretion so as to prevent the prior penalty from inadvertently becoming a death penalty, which adheres to another key aspect of the rule of law—that the punishment should fit the crime. 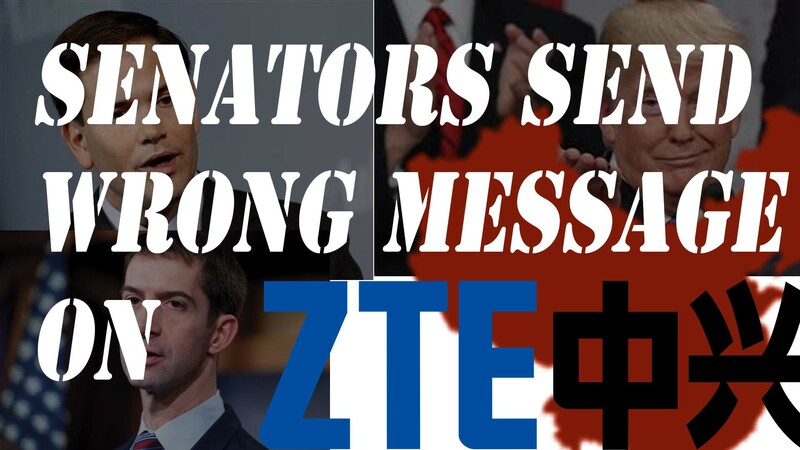 The senators who think ZTE deserves the death penalty are wrong. ZTE wasn’t spying on the US. It didn’t steal critical US technology. A substantial penalty is reasonable. The death penalty is not. Should the US destroy a good customer? The irony of this entire situation is that it only arises because ZTE is extremely dependent on American suppliers. We constantly hear that China is stealing US technology. Here is a case in which a leading Chinese company is clearly not stealing technology. It is buying products from American companies in exactly the fashion we want. ZTE is playing by the markets rules. Yet the Senate wants to force them out of business. Singling out a company for destruction is more direct and more personal than implementing a broad policy against an entire industry or China in general. It will hit China hard. You can bet they will find a way to retaliate, which means American companies will be at risk. Even without Senator Rubio’s tweet, saving ZTE is the right choice. But that tweet, and the fact that other senators keep making the same points, makes the decision to cripple ZTE much worse. If this were happening to an American company, Americans would think that the sanction violation is a smokescreen and that the real reason to kill the company is for national security and economic reasons. This sets a very bad precedent. Rest assured, when China does retaliate against an American company, it will site some infraction of the law. Americans will say the legal issue is really a smokescreen. We’ll say China’s motivations are purely economic and political. The Chinese will insist they are simply following their own law, just like America. They might even repeat Senator Rubio’s tweet. China is key to US-NOKO talks. Will China help?